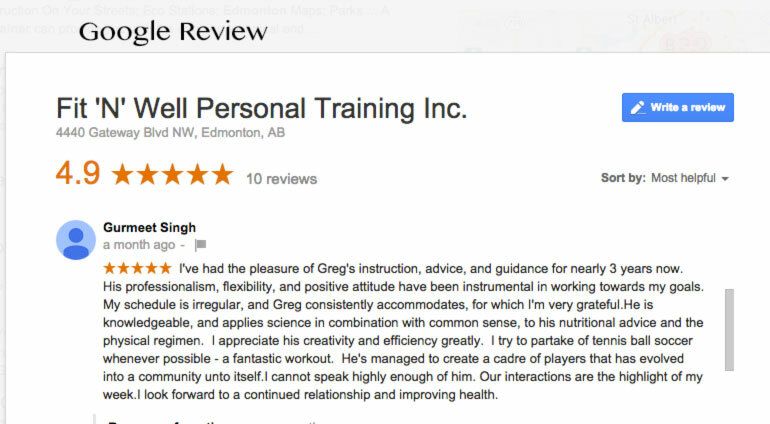 Fit \'N\' Well google review for Greg Harvey of Fit \'N\' Well Personal Training Inc.
At Fit 'N' Well, we have been training people out of the Terrace Fitness and Racquet Club since 1998. *Please enquire for membership rates as there are various membership specials offered throughout the year. *Please wear non-marking court shoes while playing soccer squash, racquetball or tennis-ball soccer. *Remember to give Terrace Fitness reception your name and license plate number to ensure that you don't receive any parking tickets. Only park in hotel parking designated areas. *Remember to ask for a 6-month list of parking codes.